An Electric-Assist Bike Is Incredibly Cool, But Is It Worth the $500+ Price Tag? An electric-assist bicycle is an incredibly fun concept; it's designed for people interested in taking lengthy bike rides, but who are concerned about whether they can keep their energy level up long enough to complete the journey. Potential electric-assist bike owners may also be car drivers who are tired of traffic, or folks who want to exercise but are concerned about their legs giving out while miles from home. Some prospective electric bike riders are also would-be motorcycle owners but who are hesitant about that kind of bike. For all of these people, the electric-assist bicycle is an ideal purchase that offers transportation and exercise. The cost of these bikes, however, can vary widely. So to help curious electric-assist bike owners decide which bike is best for them, we've detailed some of the differences between high- and low-end models. There are several small manufacturers that make a bewildering array of electric-assist bike models, but in the mass market, Currie is the best known brand. Currie bikes offer two modes of assist: the Twist and Go (TAG) mode allows riders to open up the throttle and cruise without needing to pedal at all. The Pedal Assist System (PAS) mode senses when a rider is pedaling and helps a little with each stroke. These two modes let riders decide how much assistance they want while biking. 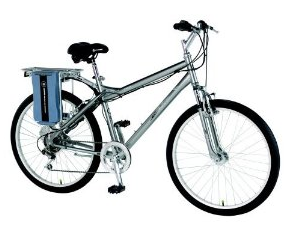 Currie electric-assist bicycles are available at a very, very wide rage of price points. On the high end, the brand offers its 2013 Currie Women's iZip E3 Path Bike ($1,799 with $135 s&h), pictured above left, and Currie Men's iZip E3 Path Bike ($1,799 with free shipping, a low by $135). That's almost four times the cost of the Currie Women's eZip Trailz Electric Bike, pictured above right, or the Currie Men's eZip Trailz Electric Bike ($479 with 97-cent s&h, a low by $115). But is the deluxe model worth the extra cost? The more expensive iZip E3 Path (Men's iZip E3 Path Bike pictured) has a classic European design and boasts a lot of refinements. 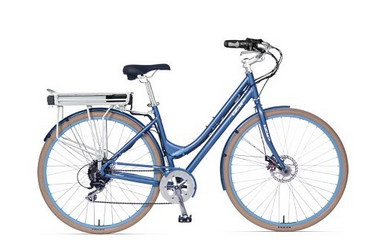 It has an aluminum frame that makes it lighter than most other electric bikes. In fact, the Path comes in at 52 lbs., compared to the steel-framed Trailz's 72 lbs. As one might expect, the componentry of the Path is also better than that of the Trailz. For example, the Path uses a Shimano Acera rear derailleur, a sealed cartridge bottom bracket, and an alloy crankset. The Trailz uses primarily cheaper steel components. Both have seven gears for shifting simplicity, which is a sufficient number for most riders. The Path features front and rear disc brakes, too, which are very useful in foul weather. The Trailz has less-refined caliper brakes — the kind you would find on most bicycles. The Path is equipped with relatively narrow 700cm diameter wheels and tires that contain a puncture-resistant product known as Slime. The Trailz uses smaller and fatter 26" x 2" tires without the Slime. The Path has an edge here because narrow tires are more efficient, but on the downside, they don't absorb as much road chatter as wider ones do. Neither bike has a suspension system, which is surprising mostly for the Path given its price point. When it comes to applying power to the rear wheel, the Path has a neat internal hub system, which runs quieter than most such motors. The Trailz uses a less efficient external chain-drive motor, which detracts from the bike's looks, but is actually not as noisy as one would expect. Perhaps the biggest difference between these two models is their battery. 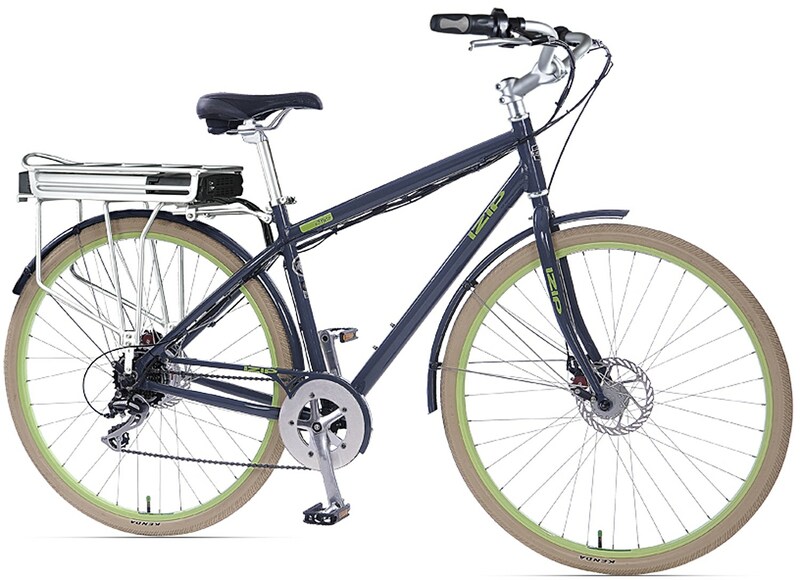 The Trailz (Men's eZip Trailz Electric Bike pictured) uses a rechargeable, sealed lead-acid battery, which Electric Bike deems "ancient and heavy technology." Conversely, the Path uses a state-of-the-art 240W-hours Samsung 18650 lithium ion battery. In theory, a better battery also yields greater speeds and life per charge: the Path was tested on the road and made it 30 miles at max speed of 20mph on a full charge. Comparatively, the Trailz was not too shabby. The bike was able to hit 17 mph without pedaling. However, Currie warns that running a cheap SLA pack below 40% capacity will result in a drastically reduced overall battery life. Not surprisingly, the manufacturer states also that riders should expect to get three to four times as many recharges with the Path's lithium-ion battery. But, all in all, the Trailz's battery life expectancy, for many, is a deal breaker. 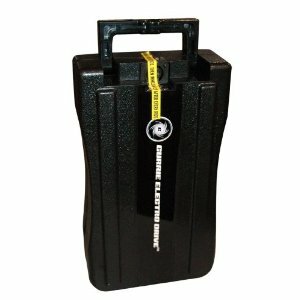 Given that the price of a new battery can cost from $100 to $400, this is a significant cost to consider. Speaking of replacement parts, the Path comes with a 1-year warranty, while the Trailz is only covered for 90 days. The customer comments on Amazon about the Trailz frequently refer to mechanical failures in the electrical system shortly after purchase, to boot. Is an Electric-Assist Bike Worth It? Some seem smitten with the Path. 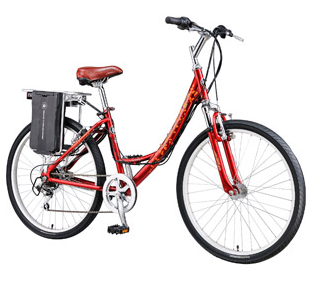 Dr. E-Bike writes, "Considering the aluminum frame, lithium ion battery pack, rear geared hub motor, and the quality bike components, this e-bike offers a great value for the money." Electric Bike Report also praises its European styling. The site cautions, however, that the Path is not a good choice for the speed freak. "The casual ride style makes the bike fun, but please remember that this is not a powerful speed machine. It is designed for a mellow ride." There are champions of the cheaper Trailz, too. Electric Bike claims that "you will not find a better e-bike in the current market at a cheaper price," and for under $500, it's got great bang for your buck. Some experts also recommend upgrading the battery to the pictured Currie eZip/iZip RMB Lithium Battery ($383.51 with free shipping, a low by $15), which is, all things told, nearly as expensive as the bike itself. Not all experts are in agreement, though. ElectricStar felt that Currie price points are quite tempting. But the eZip line is super cheap for good reason, and that, "at best, these bikes serve the purpose of introduction." Proponents of the Trailz take into account the radical difference in its price compared to other electric bikes, while those who look favorably upon the Path seem to respond to the quality and performance advantage. Taking all of this into account, if you're shopping for your first electric-assist bike and your aspirations are modest, the Trailz makes a lot of sense. 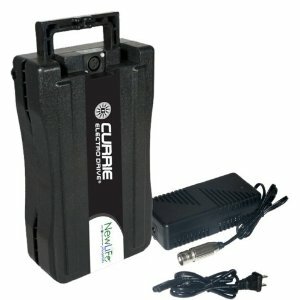 Take time, however, to double-check the assembly, and consider buying at least a second Currie eZip SLA battery ($117.75 with free shipping, a low by $1) to extend your range. If you're looking for greater performance, range, and durability and can handle the higher price point, the Path is a shrewd purchase. Either way, with a little charging, you too can be burning rubber with a smile on your face, thanks to the miracle of electricity and your own two legs. Electric bikes are for the mellow. If you are adventurous and tech savvy, you would spring for a motorized bicycle kit. It's basically a 66cc engine strapped into any frame. 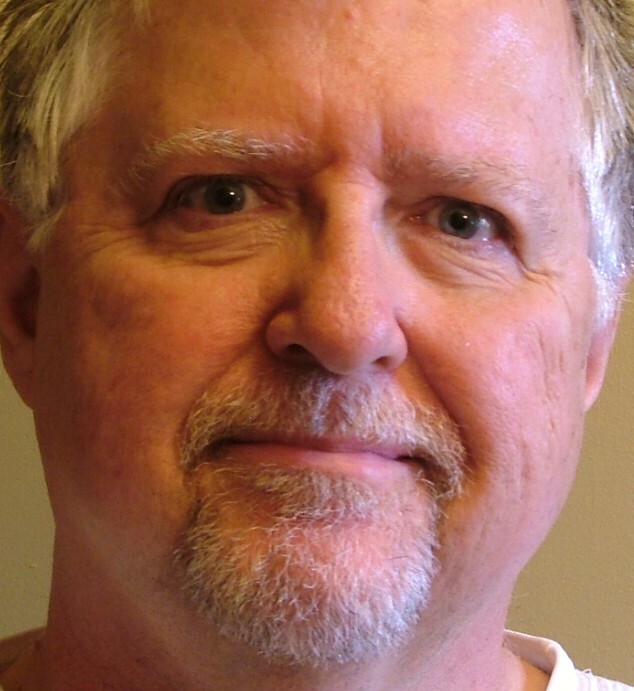 Petroleum is far more powerful and efficient than lead acid batteries. You could get up to 150 mpg and you can travel 40 mph or more. 66cc is bigger than some moped engines. In addition, you only add about 25 lbs of weight and it cost about $200. The electric bike outputs 450 watts, while the gas bike puts out over 2000 watts. Keep in mind there is another cost--using an electric bike on bike paths will garner you the ire of real bicyclists and a massive karmic debt as you become an obnoxious holier-than-a-Prius-driver eco-snob. Just get a real bike and power it with fat. We've certainly got enough of that to go around in this country.